Oct 1 marked the day when many healthcare institutions, insurers, CMS (Center for Medicare and Medicaid Services) switched over from International Classification of Diseases 9 (ICD-9) to International Classification of Diseases 10 (ICD-10). Much heralded in some circles (Europe, Asia and Africa implemented ICD-10 decades ago) and sometimes referred to as healthcare’s version of Y2K in others, it has come about with years of delay, angst, optimism and controversy. The downsides of ICD-10 are the costs of implementation and that despite delays, some providers and institutions still aren’t prepared for the system upgrade, which can translate into coding errors, re-imbursement dips, delays in procedure or testing authorizations, and even insurance denials for patients. Fortunately enough, CMS has instituted a one year grace period for claims submitted on or after October 1, but only if the codes submitted for a particular diagnosis are classified under the correct family of codes. As for individual payers, they may have their own set of rules when it comes to incorrectly coded claims. ICD-10 is a stepping stone into ICD-11, set to be released by 2017. Expectations of when the U.S. will adopt ICD-11 are to date, unknown. The concept of apprenticeship isn’t new, in fact the concept of learning a trade from a master craftsmen is quite old (from sushi to stone masonry). What is new is it’s formal application and position in entrepreneurship. To be clear, an apprentice isn’t necessarily an intern or someone who is 20 years old (though s/he could be). S/he may be forty and looking to change careers or pivot despite the associated challenges. S/he is someone who is interested in a trade and wants to learn the craft from someone with many years of experience (or a knowledge equivalency). S/he is willing to work hard, do any task that is given, and act as the eyes, ears, and hands for her boss-mentor-teacher. She’s passionate about the field, the job, and the opportunity to use her innate skill set and those she has acquired to ramp things up. She’s courageous and resilient, challenges are seen as opportunities, and intellectual curiosity takes precedence over status quo-based procedures. Titles don’t matter, the opportunity to learn, create and change the trajectory of her life and others does. For founders and CEO’s (of companies large and small), it’s about the injection of fresh energy into the company. It’s about working with someone who has a lot to learn (teaching moments) but is highly motivated and excited about the work that is being done (something you can’t teach). 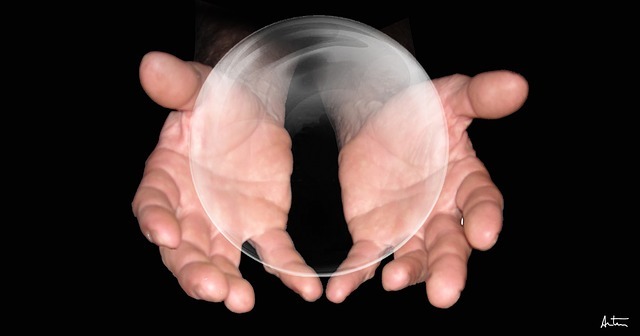 It’s about having a sounding board that is distinct from the “only positive news” bubble. It’s also about paying things forward. So how does one go about finding an apprentice? The likely case is that s/he will find you. 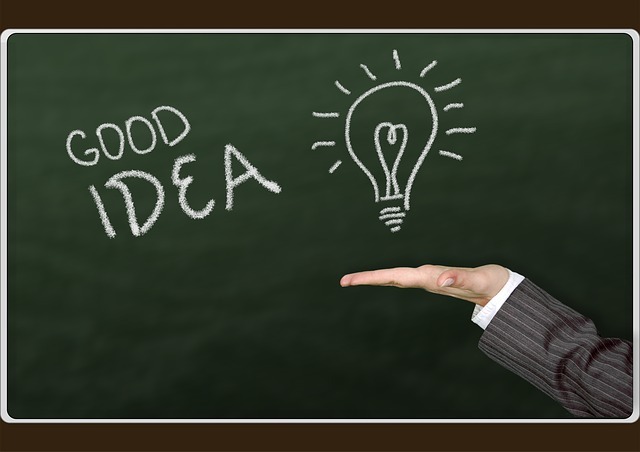 An entrepreneurial apprentice will make you take note of her/him. S/he may not fit into any one job description or have a linear work history, but s/he will exude motivation, passion and purpose. Put out an ad. Put out a challenge. Make the it known that the once-in-a-lifetime opportunity is available. Ask her questions. Why is she passionate about the field? Why does she want to work with you? What does she want to learn/what can you teach her? What has she noticed about what you’re doing (both good and bad) and how would she change things if she was in your position? What does she believe/know that no one else does? Challenge yourself. Take on an apprentice. Great people are at the core of any great business, why not continue that legacy? I’ve always loved interacting with innovators, artists, musicians, techies, and academics and am the first person to try something new, be it a food or a new technology.When I first started my journey into the world of startups and technology, I didn’t know where to start and so I went to every event, meetup, fireside, festival, lecture I could to feed my ravenous curiosity. Along the way, I kept a list of my faves and want to share them with all of you. I was at the first NY Tech Day. I had signed up for a NYC events list and was like, hmmm…I’ve always liked technology, I’m on sabbatical, let me check it out. It’s where I first heard David Tisch (Box Group) and Charlie O’Donnell (Brooklyn Bridge Ventures) speak about the NY tech community. It’s also where I realized how much was happening in NYC and how fast it was growing. Today, there are over 400 exhibitors and 10,000+ people attend. 1. Meet cool people from some of NYC’s most interesting startups. Today’s 2 person startup, could be the next unicorn. 2. Discover an app/tool that makes your life more fun, removes a pain point, or is just the right solution for someone you know. 3. On volume alone, it has one of the highest concentrations of startups in one place. I’ve seen education, health, food, game startups etc. Something for everyone. I was at the inaugural Newco New York and have gone every year since. It’s a great way to see the HQ of some of NYC’s hottest startups and meet the founders where they work (and even go up and shake hands). Year 1 I saw Jonah Peretti speak to a crowd of 50+ of us at Buzzfeed and Fred Wilson of Union Square Ventures speak at a panel talk at Simulmedia. Year 2, I saw Dennis Crowley speak to 40+ us about Foursquare and Swarm and saw a panel talk at Union Square Hospitality on their philosophy of enlightened hospitality (Danny Meyer was there and he gave us signed copies of his book, which is a good read BTW). 1. Learn something new in an intimate setting. You can learn more about the company, see where and how people there work (architecture of the space often reflects the mission/brand), learn more about startups and entrepreneurship.The line-up of startups/organizations is amazing and it’s like taking a master class from people who are working to build something every day. 2. Go for the serendipity of meeting your next new friend, boss, co-worker or co-founder. 3. Visit the people and places you’ve only read about online/in the papers or whose products you use on a daily basis. 4. Be inspired and let it be the spark for your next great adventure. The Northside Festival celebrates thinkers, innovators, and artists. It has something for everyone, as you can see bands, gallery exhibits, as well as tech/innovation events. They’ve even had panel talks on healthcare. 1. Discover a new artist, band, film, startup. 2. Mingle with creatives, techies, musicians. This year hosts 150+ speakers (from Linkedin, Ello, Gothamist, ApartmentTherapy, Medium, Elite Daily etc). See tons of bands and films. There’s also a concurrent Brooklyn Live Summer Concert series. 3. Great event locations. Tons of stuff to do at the festival and afterwards too. Brooklyn has great restaurants, music venues, and lounges. You can also hop on the ferry to Manhattan. 4. Learn something new. Teach something to someone. Be a part of a creative community. I’m committed to diversity when it comes to healthcare, technology and leadership. Saw a tweet quoting @JudyMurphyHIT today (#EqualPayDay) on the #HIMSS15 timeline which said that “$42M in greater healthcare firm value when women are represented at the executive level”. 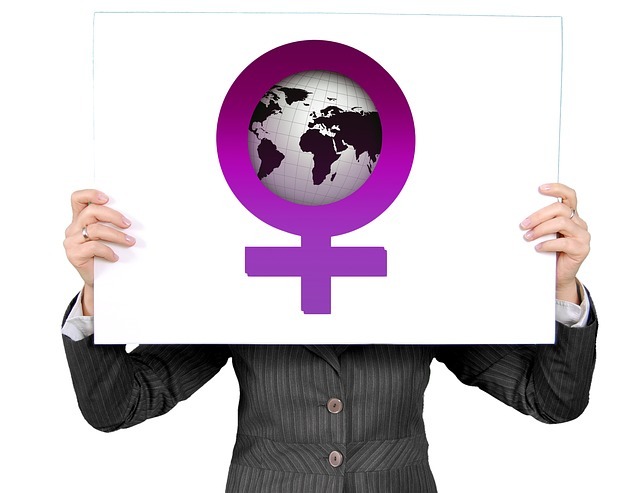 Indeed, Rock Health’s “State of Women in Healthcare” provides further data on the need and value for diversity in HIT, inclusive of the fact that not only do diverse teams raise more capital (besides being more capital efficient) but women tend to be the primary decision makers, caregivers and a majority of the workforce. I could also talk about market opportunity and market size, but I’d rather say this, look to your left, look to your right, look in front of you, look in back of you, it’s likely at least 50% of the people around you, or the people that you know are affected by the biological life cycles of ovulation, menstruation, pregnancy, menopause etc. I’d like to highlight female innovators who are working to build digital tools for women and girls and in the process, are inspiring them to become fellow innovators and leaders. Links are provided to you learn more about the companies and their teams. Eve Medical– Medical device company focused on women’s health (HerSwab: Self-collect HPV samples for cervical cancer screening at home). I also recognize the men who stand up for women. Great story from Fast Company about “The Menstrual Man”, who defied cultural norms, societal pressure, financial pressure, and lack of formal education, to create hygienic options for women in rural and economically disadvantaged areas: “An Indian Inventor Distrupts the Period Industry”. A must read. 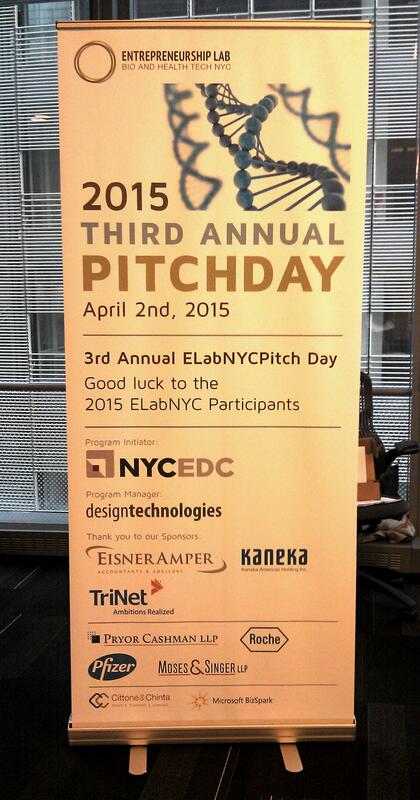 On April 2, hundreds of healthcare and biotech innovators, investors, entrepreneurs and stakeholders attended ElabNYC’s 2015 Pitch Day at the Microsoft Technology Center in the heart of Times Square. A total of 20 teams presented to a standing-room only crowd, with products and services addressing topics from preventing early childhood tooth decay, to genomic analytics, to protein engineering (related to scientific research/discovery, diagnosis and treatment of disease), to managing addiction, to novel targeted approaches to treating breast, oral, prostate and pancreatic cancer. The number of companies, as well as the wide swath of topics represents the richness of the NYC ecosystem when it comes to healthcare and biotech entrepreneurs and innovation. Eric Gertler, Executive Vice President and Managing Director for the Center for Economic Transformation at the NYCEDC opened the event and spoke about the economic engine of entrepreneurship in NYC. He also touched upon two key unmet issues in the areas of life science and health information technology in NYC: (1) access to capital and (2) a need for wet lab space. Initiatives to address these issues have included the Alexandria Center for Life Sciences, the NY Genome Center, BioBAT at SUNY Downstate, Harlem Biospace, Kiiln NYC, and the work of ELab. Additionally, on April 1, the NYCEDC recently announced a $150 million Early-Stage Life Sciences Funding Initiative, a private-public funding partnership which includes the NYCEDC, Celgene, Eli Lilly, GE Ventures, Flagship Ventures, and ARCH Venture Partners, as well as a major expansion of space at the Alexandria Center. Mary Howard, the Program Manager at ElabNYC, spoke about the successes of Elab alumni. Portfolio companies have gone on to licensing deals, further institutional investment deals, NIH innovation grants, and received funding from such organizations as the AHA, the Robertson Foundation, and the Bill and Melinda Gates Foundation. 1. ARL Designs (CUNY affiliation): Super-hydrophobic Virtual-Well Microplates Enabling Accurate Nanoliter Dispensing for High Throughput/Content Screening at Low Cost. They’ve developed an nDAP (nanodroplet array plate), which allows for the analysis of an array of individual cells in 3D and over time. Additionally, cells can be retrieved at any time for further analysis. 2. Brooklyn Biosciences (NYU affiliation): They’ve developed a novel protein that significantly increases the efficiency of transfection reagents, which are used by scientists to deliver DNA and RNA into cells. 3. NY Protein Biologics (Columbia affiliation): They’ve developed patent-pending protein technologies, inclusive of those related to protein engineering and gene optimization to maximize protein expression. 4. Optologix (CUNY affiliation): They’ve developed a research tool that uses blue light instead of chemicals/traditional agents to regulate the production of proteins. 5. NoMoCan (SUNY affiliation): They’re developing a targeted therapy (a monoclonal antibody) that selectively and specificly finds and kills pancreatic cancer cells. 6. Sveikatal (Weill Cornell affiliation): They’ve developed a therapy for oral cancer using a novel retinoid (Vitamin A) therapy. 7. Zakan Therapeutics (Einstein affiliation): They’ve developed a “bio missile” designed to bypass healthy cells and attack and deliver anti-cancer compounds directly to metastatic cancer cells. 8. MedHexim1 (SUNY affiliation): They are developing a diagnostic test and therapy for prostate cancer focused on Hexim1 as a biomarker/target. 9. PHD Biosciences (NYU affiliation): They are developing an oral nanomedicine, a transition state inhibitor for triple negative breast cancer (lack the 3 most common hormonal receptors that fuel breast cancer, and thus hormonal treatment is not effective). 10. Avalia Immunotherapies (Einstein affiliation): They are developing immuno-oncology therapies for the treatment of cancer (i.e. prostate cancer), inclusive of using a therapeutic vaccine or immunomodulator using the patient’s own immune system to kill cancer cells. 11. Yiviva (Yale affiliation): They are developing high-quality, evidence-based botanicals (phytomedicines) to address age-associated diseases. They’ve also developed a proprietary database. 12. MySmileBuddy (Columbia affiliation): They’ve developed a tablet-based educational and action plan technology that helps parents and community health workers manage the risks for early childhood tooth decay. 13. Genetical Lens (Independent): They’ve developed Well-Child Lens, a video-enhanced mobile application designed help both parents and doctors streamline all aspects of autism screening and surveillance for toddlers. They are expanding to ages birth-5 years and are including other behavioral disorders. 14. Addicaid (Independent): A social recovery platform and resource for recovering addicts and alcoholics. On the enterprise end, data insights, improved coordination and a potential reduction of aftercare and operational costs. Substance abuse is one of the ten elements of essential health benefits covered under the Affordable Care Act. 15. Scalable Genomics (NYU affiliation): They’ve developed Big Data bioinformatics analytics software that can be used on clinical, environmental, genomic and forensic samples. 16. Hyperfine (Independent): They’ve developed advanced analytics software for personalized medicine (use of an individual’s personal genetic profile to help guide preventative, diagnostic and therapeutic healthcare decisions). 17. Innovative Neurons (Independent/Zahn Center): They are developing a FAST (Fast, Accessible, Safe, Technology) medical device called the Retractable Multi-needle Syringe, designed to enhance safety and help prevent needlesticks -a concern of healthcare workers that work with sharps. 18. InfrasSonic Monitoring (SUNY affiliation): They’ve developed a noninvasive heart monitoring device to provide high-quality information in nonclinical settings. 19. S.A.L.T. (Weill Cornell affiliation): They’ve developed a mobile app, which used in conjunction with urine test strips, is a point-of-care tool that can be used to track salt levels in urine at home, a measurement used in looking at kidney disease. 20. PainQX (NYU affiliation): They’ve developed an algorithmic software that provides an objective way to measure pain in humans and animals. EEG-based, leads to pain score. 1. X.ai (https://x.ai/) A virtual personal assistant (Amy Ingram) helps schedule meetings for you. Why I like it: Amy really streamlines the back and forth of scheduling meetings for you. I found her to be very polite, and a lot of people I scheduled meetings with didn’t even notice that she wasn’t a real person. I also liked how every Monday morning I would get a summary email updating me about what she has been working on, or that I could query her at any time for an update by asking a simple question. Why I like it: A lot of us spend time on our feet, play sports/exercise and/or suffer from foot problems/injuries. In the past, you would have to visit the podiatrist and you would get a script to get fitted for special shoes/insoles. Most of the time, you would end up leaving with something that was really comfortable but was a bit clunky and didn’t necessarily fit your personal style. Additionally, since they were special-order, it would take a few weeks to get your orthotics. Sols leverages the customizability and speed of 3D-printing and represents orthotics 2.0. I see athletes, people with podiatric issues, and those of us who wear pumps/high heels on a regular basis really getting into the product. Why I like it: I think the price point is great and the design is fun and interactive, which can definitely help if you are a parent or even a healthcare worker taking a child’s temperature. It’s also really simple to use and since it’s connected to your smartphone, you can keep track of your temperature readings/symptoms in an organized way. Why I like it: I wear glasses so I definitely can empathize with people who have refractive vision issues, as not being able to see clearly can affect productivity, your ability to read documents, or even just your ability to go about your day-to-day activities. In terms of the product, I like the portability, the speed, and the ability to generate an eyeglass prescription instantly. I also like the implications for its use in global and rural eye health (the tool has already been field-tested in Haiti and Guatemala). Why I like it: In a word: PAINLESS. I know quite a few allergy sufferers (both adults and children) and the traditional skin/scratch test generally involves you getting pricked for each allergen and which ever ones blow up like mosquito bites are the allergens you are allergic to (read: not fun). I like that it tests for both airborne and food allergies (quite common), as well as for local symptomatic responses (nose and mouth). There’s a saying in tech that every company will and must become a tech company or it simply will not stand the test of time. In the last five years alone, we have seen technology’s impact on our daily lives and across industries, including finance, communication, healthcare, music and media. Retail is an industry where technology has especially made waves for both consumers and corporations alike. 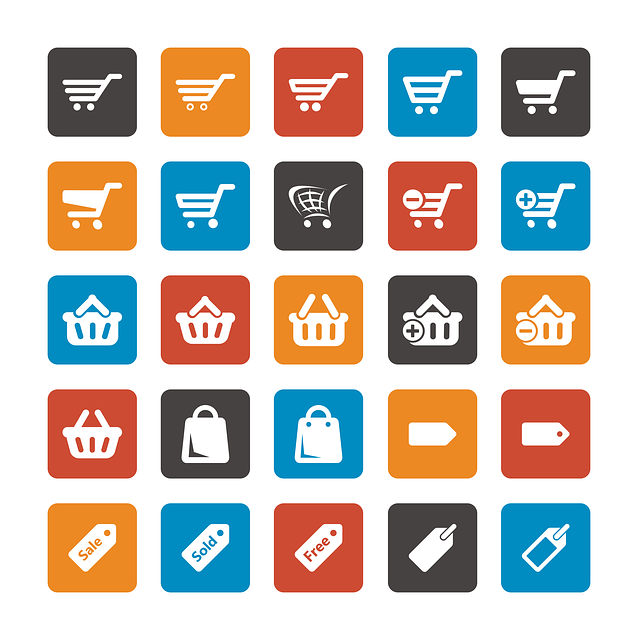 E-commerce is rapidly increasing with the advent of smartphones/tablets, the growing number of digital natives, the increase in online retail options (virtual store fronts, online mega-merchandise retailers, daily deals sites, social media offerings, etc), and the multitude of payment options (Apple Pay, Square, PayPal, Bitcoin etc). According to Forrester Research, online retail sales in the U.S. are projected to grow to $414 billion in 2018 (as compared to $263 billion in 2013). Physical stores no longer serve as the only points for discovery and distribution. What we previously could only get in stores we can now get online and with a larger merchandise selection that includes both domestic and international products. To a certain extent, this levels the playing field for small mom and pop entrepreneurs who want to set up shop with virtual store fronts that either exist independently or within larger sites (Amazon, Alibaba, Etsy, Ebay). But does this change in consumer behavior spell the end of the brick and mortar store? No, but it is about re-positioning them as branding and discovery outlets that lead to online exploration and a more multi-media multi-channel approach to sales. Additionally, we see previously online-only retailers like Birchbox, Warby Parker, Bonobos (and potentially Amazon?) open up physical stores. Why? Many customers still want to touch and feel merchandise and see if they really like a product. Merchants benefit by being able to craft an experience as well as gain customer insight and feedback. In 2014, Samsung set up experience stores in select cities across America. A visit to the one in Nolita, NYC allowed patrons to test out the latest in Samsung’s offerings and experience how they could be used in different settings. For example, the store featured a coffee shop where you could order coffee and cupcakes using Samsung tablets, a mini-design factory where you could come up with a design and print it on totes or t-shirts or even 3D-print your designs, a music section where you could test out wireless headphones and their Milk Music offering, as well as a children’s area where you could test out games and educational toys for children. Patrons were aided by special product reps who would guide you through the exhibits and teach you how to use the products. There is a natural affinity that exists between fashion and technology. Great design can enhance the tech experience. Technology can lead to new mediums and new distribution channels for fashion. DVF has featured Google Glass in her runway shows and the company has designed frames and shades for the technology. Tory Burch has partnered with FitBit to design Flex accessories. Rebecca Minkoff, Macy’s, and Bloomingdale’s have their sights set on using technology in an omni-channel way which includes QR codes and discounts sent to consumers, touch screens in fittings rooms that showcase inventory offerings and enable patrons to ask for assistance, radiofrequency identification technology (RFID), and social media offerings. Technological advancements have helped shape the food services industry from point of sales systems, to online ordering to e-payment. Starbucks has been a leader in this movement, offering WiFi, wireless charging, mobile payment options, a dedicated Starbucks app and the upcoming adoption of iBeacon technology. The company many associate with fragrances and candles opened up a pop-up boutique in New York’s Meatpacking District during the 2014 holiday season. It featured a scent lab where patrons could sample the latest candle offerings, a mural made entirely of Glade candles, and 5 themed rooms featuring interactive experiences where consumers would find themselves inside a large conch shell, hear an ocean breeze, smell Glade’s Hawaiian Breeze scent, and take a photo of themselves using barcoded postcards and cameras with timer capabilities or in a fashion shoot full of rich fabrics and flowers, and the scent of Blooming Peony and Cherry in the Flirty Room. The Energized Room featured virtual reality Oculus Rift technology where patrons were invited to a multi-sensory experience of a theme-park type thrill ride through an idyllic countryside with a streams and fields full of flowers, and the scent of Red Honeysuckle nectar. Story is a retail store concept founded by fellow New Yorker, fourth generation entrepreneur and retail expert Rachel Shechtman, which views itself as a magazine, changes every 4-8 weeks like a gallery (with themes including “Color”, “Making Things” and currently “Well-being”), and functions as a retail store. Companies that have been featured in Story include Target, Intel, as well as a curated set of small independent shops whose stories are told via small note cards about them and their products and feature their social media handles, along with a selection their products. Besides POS (point-of-sales), ecommerce, and payment technologies, Lowe’s, Amazon and Alibaba have looked into robotics. Fetch Robots is a company that develops self-guided retrieval robots for light industrial companies. Rethink Robotics is another robotics company that has introduced similar technology, with a robot named “Baxter”. A joint venture between SU Labs, Lowe’s Innovation Labs, and Fellow Robotics recently introducted OSHBot, a consumer-facing robot shopping assistant. There has also been interest amongst companies related to drone delivery services. Innovation is a part of every company’s longevity plan. It’s the way in which a company can delight consumers, improve efficiency and margins, gain interesting partnerships, connect with those creating the cutting edge, and keep itself from being disrupted. A number of companies have dedicated innovation centers meant to be digital sandboxes and collaborative spaces where innovators can come together to exchange ideas and create the next big thing. Ogilvy and Mather recently opened Ogilvy Digital Labs in NYC, as a place to learn about and invest in digital marketing solutions across sectors including Mobile, Gaming, Point of Sales, etc. IBM Watson has a home at 51 Astor Place in NYC, and it is looking into applying its natural language processing, cognitive computing and data analytics company to provide retailers with customer insights. Mastercard Innovation Lab recently held an event at its Flatiron district location featuring mobile payments solutions including Apple Pay and a MasterPass ShopThis! collaboration with Allure Magazine that featured in-context in-app purchasing capabilities for anyone reading Allure using a digital platform. Outside of NYC, California-based Plug and Play Tech Accelerator houses a Brand and Retail Innovation Center designed to connect large brands/retailers with innovators. Innovation is at the forefront of thought leaders minds when it comes to retail, and technology plays an important role in that. However, technology is still a tool and it works well when it comes to the physical interface of our experiences in the case of drones or robot assistance, as well as when it fades into the background and seamlessly and almost magically improves the consumer’s experience. Will every company become a technology company? Yes, given our current trajectory this statement will hold true, but even more importantly, every company will become a technology-ENABLED company because the true power of technology lies in its ability to power the human experience and the realization of the human imagination .